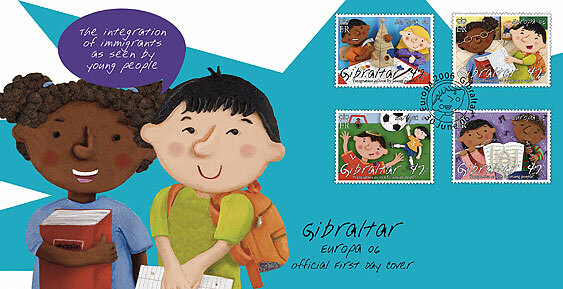 Europa stamps are special stamps that have Europe as their central theme. They highlight common roots, culture, history and goals of European communities. ‘The integration of immigrants as seen by young people’ is a special theme for Gibraltar as all Gibraltarians descend from immigrants. Today, we enjoy a harmonious society of multiple races and religions. We are an example to the rest of the world of a trully peaceful society.